Sunday was a busy day. 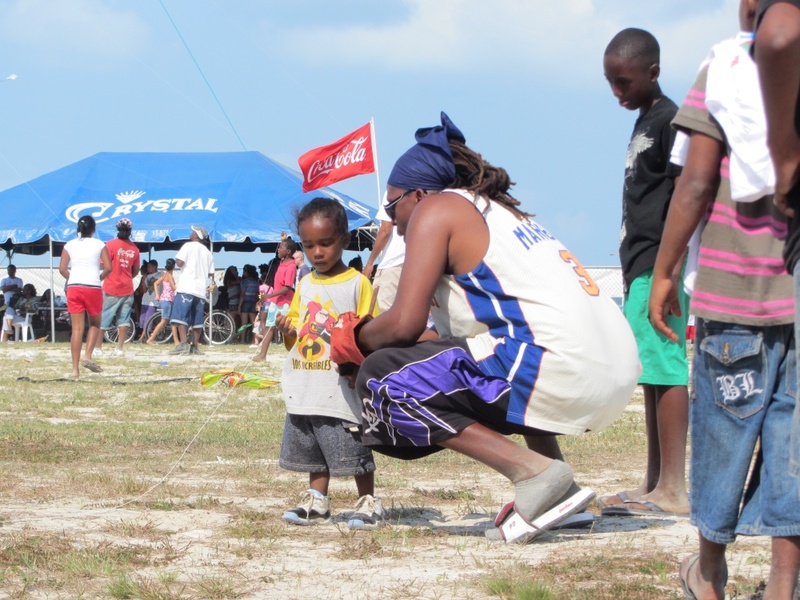 I took the 7:30am water taxi from San Pedro to Belize City, hopped in my friend’s truck with a quick stop to buy Sunday morning boledo (lottery) tickets and headed off to Burrell Boom for the Ruta Maya canoe race. 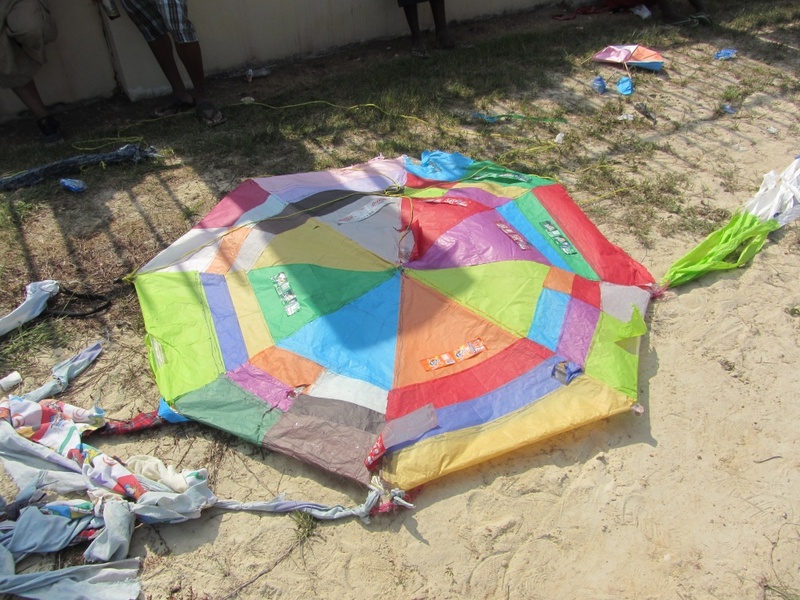 Here is yesterday’s post about it. 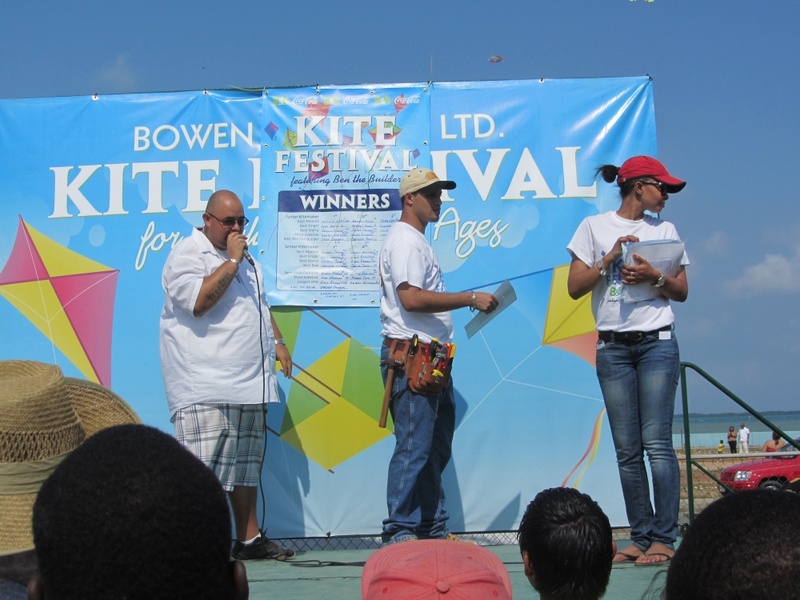 After the boats came in, we hightailed it out of Boom back to Belize City for the Kite Festival in the park by the Belize Central Bank. 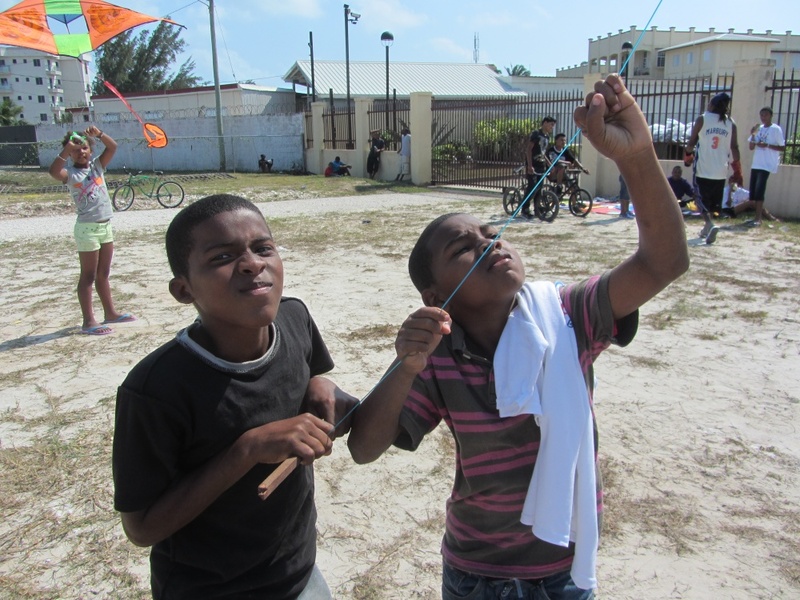 The sky was aflutter with homemade kites. I love this kinda stuff. 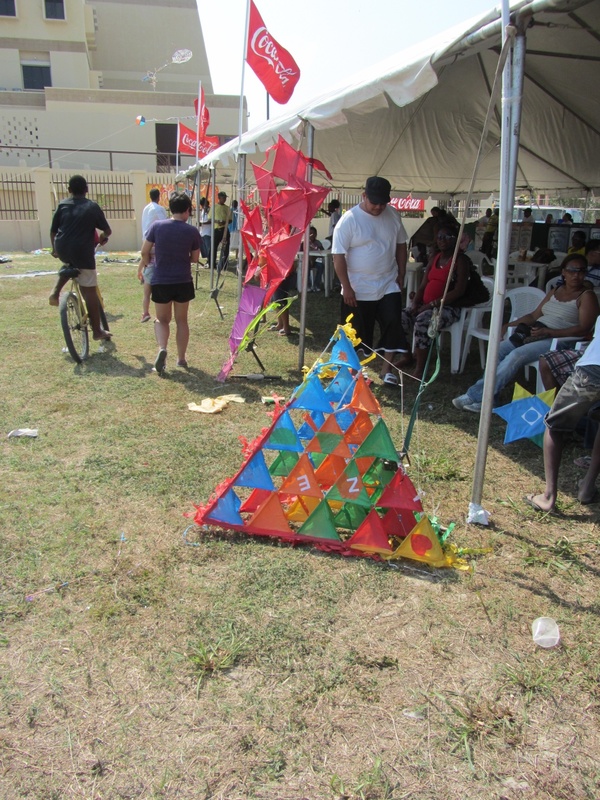 There were lots of different categories and prizes for kids and adults. 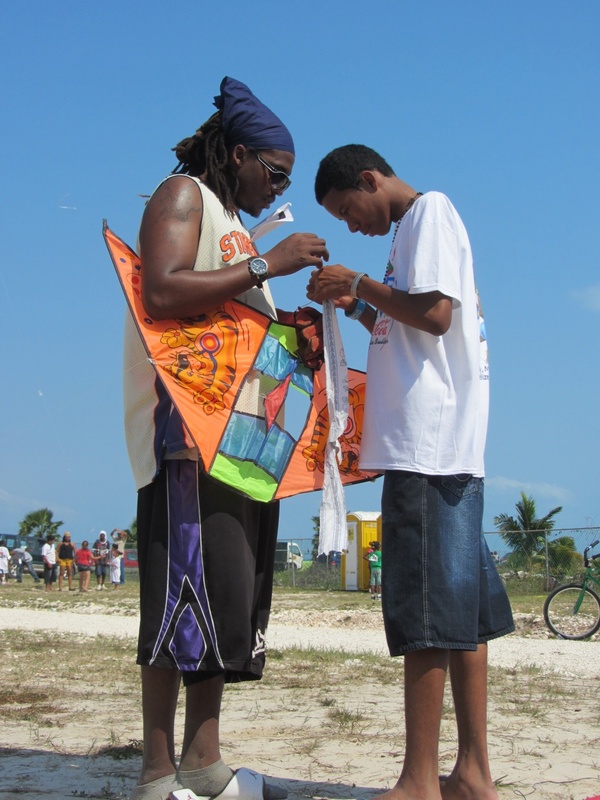 From box kite to singer kite…I learned a few new kiting terms. And some…like moonie, I still have no clue about. 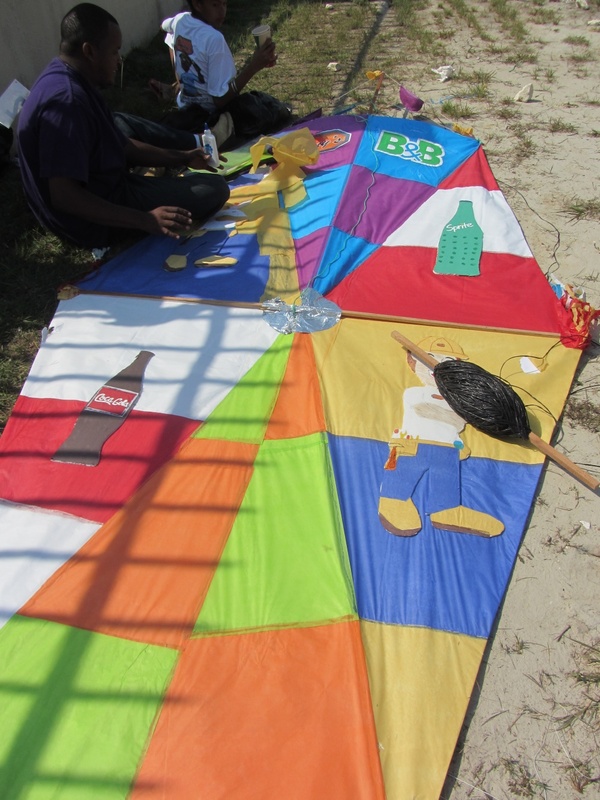 All of the kites in the air was made by hand and most with multiple layers of tissue paper, white glue, lots of sticks and knotted pieces of cloth tails. Some were being retired for later repairs. 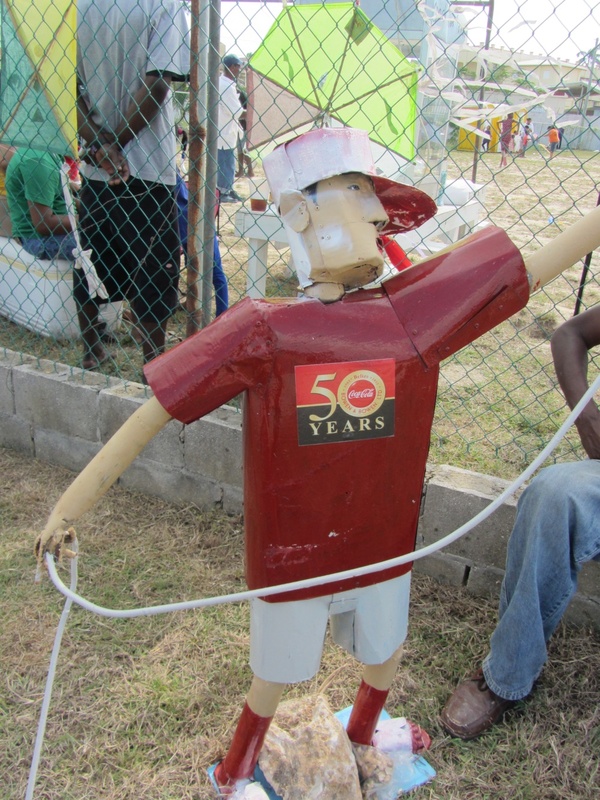 We ran into Jody who has lived in San Pedro, is still a frequent visitor to the island and is my favorite part of the Belikin commercial. Can you spot him? 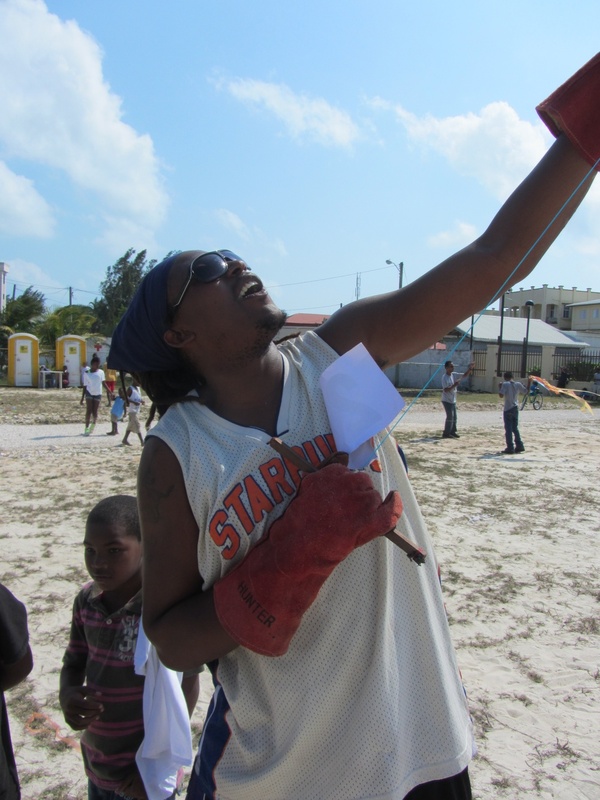 He was also a bit of a kite mentor…a kite whisperer if you will…helping all the kids get theirs flying. Just those gloves say pro to me. 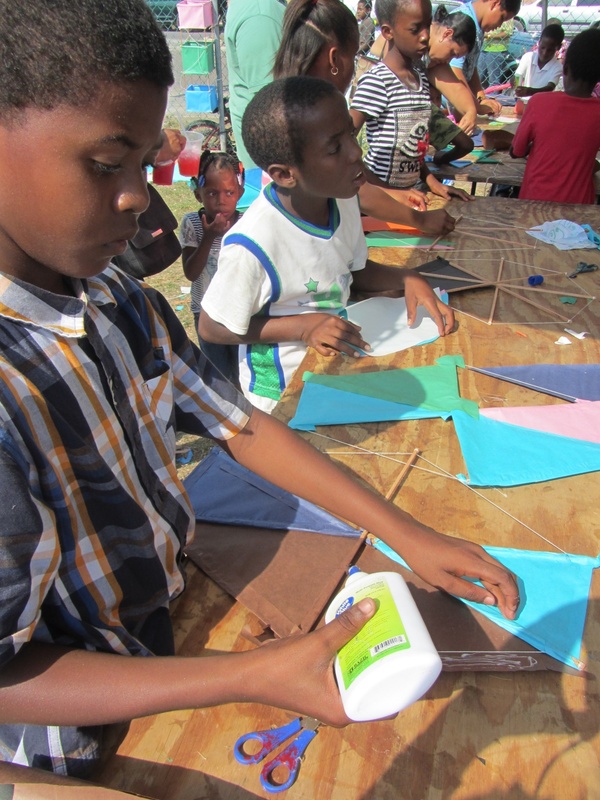 Benny’s Hardware in Belize City had a tent set-up with four big tables for free kite making. 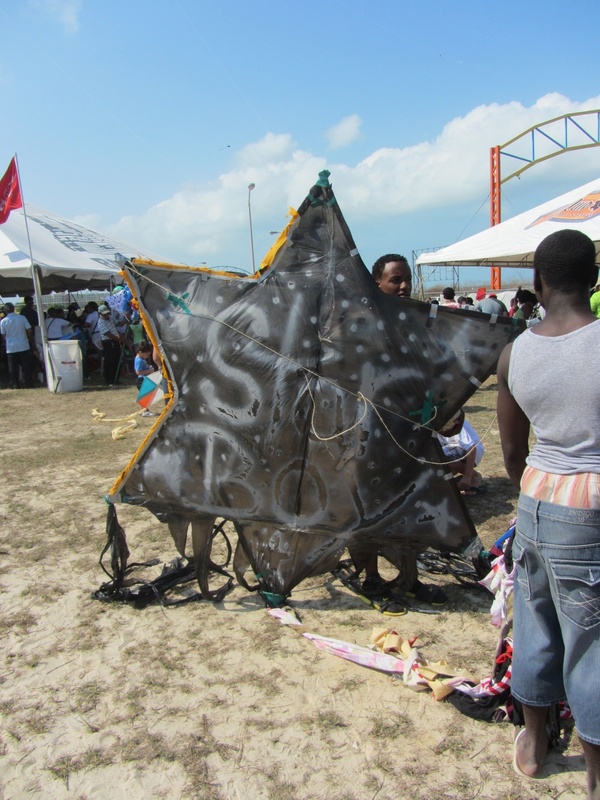 Kids were very very hard at work making star kites. 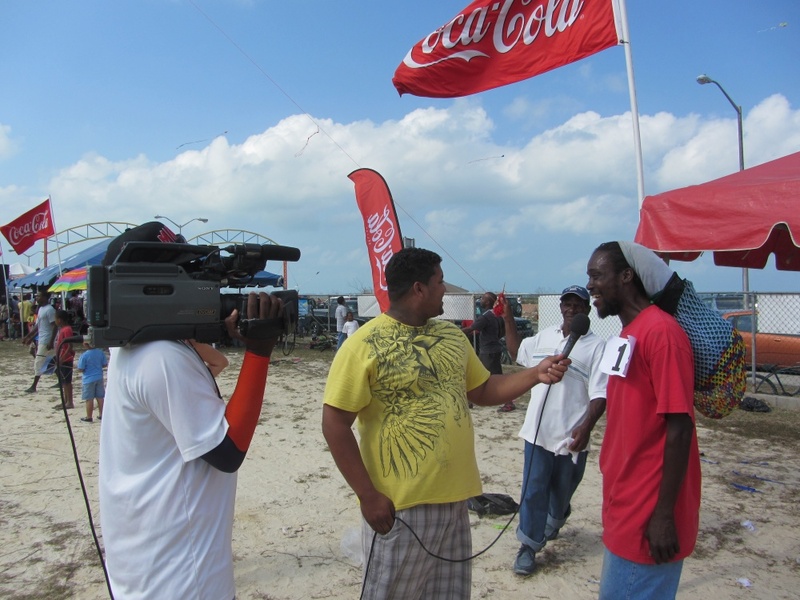 And the winners interviewed on TV. What a great event. 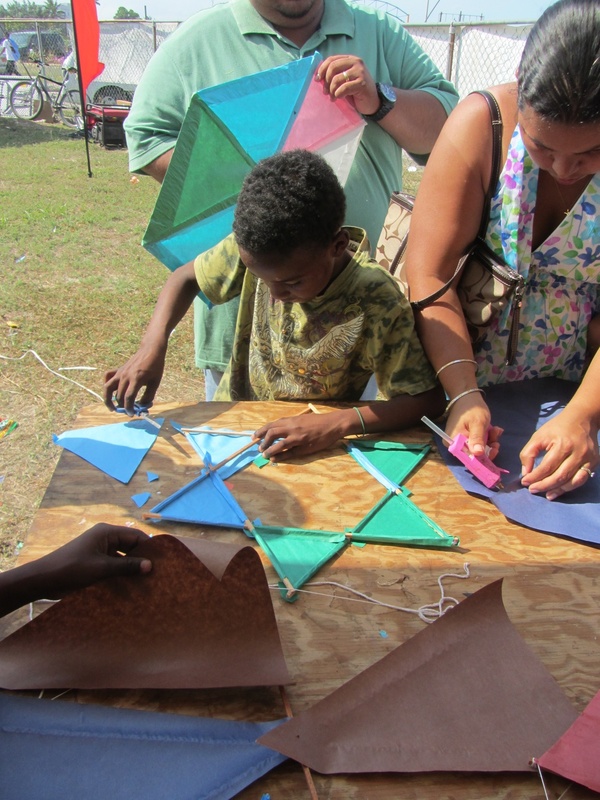 Such a fun thing for kids and adults to get involved with. 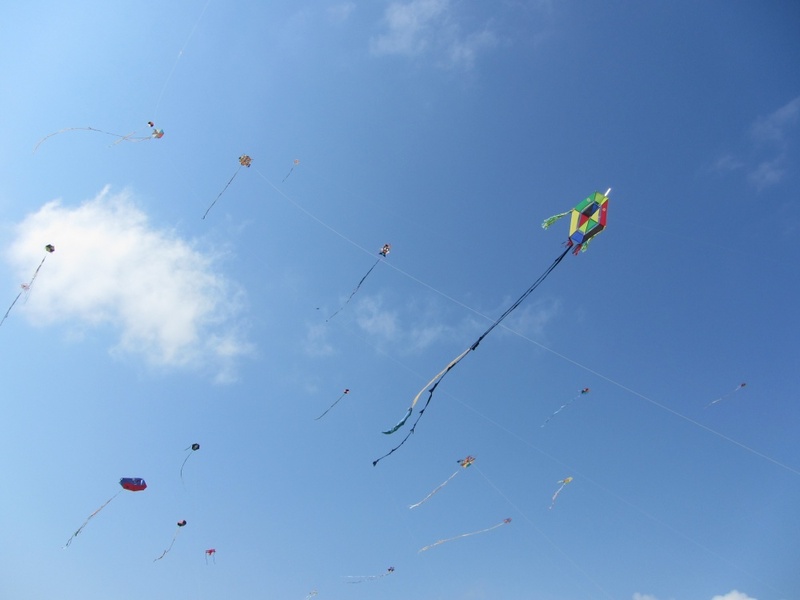 Makes me want a kite. 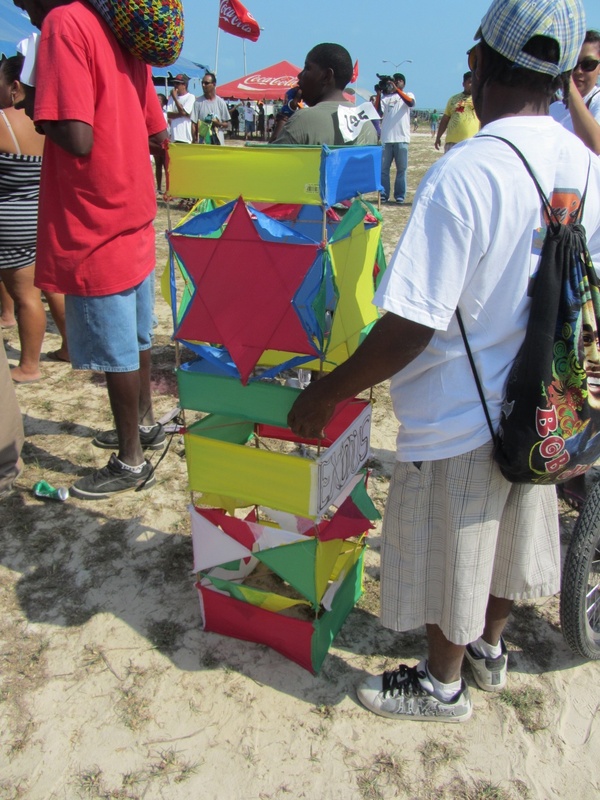 And gets me thinking back to when we used to have an Easter kite festival on Ambergris Caye. Does anyone know what happened to it? 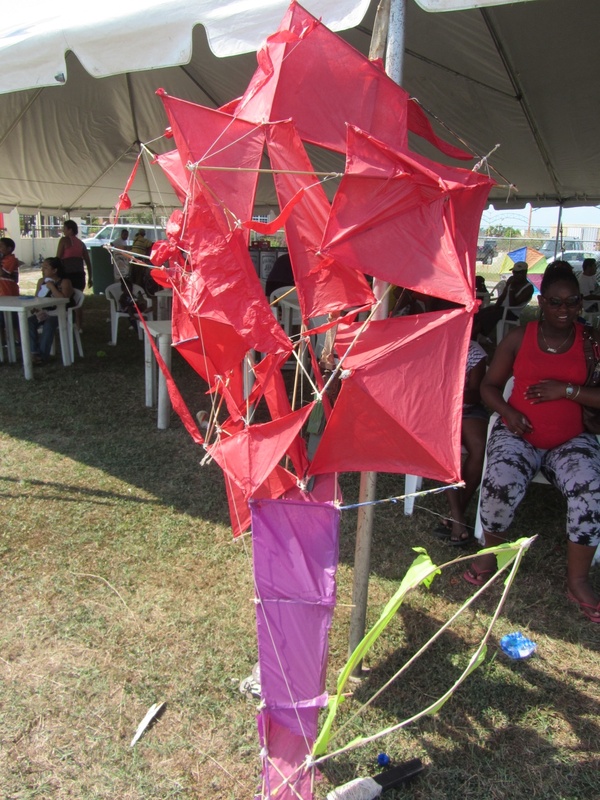 ask SPMQQSE about the kite festival on AC…..find him at Canuks a lot. cannot, for the life of me, remember. James, something perhaps? 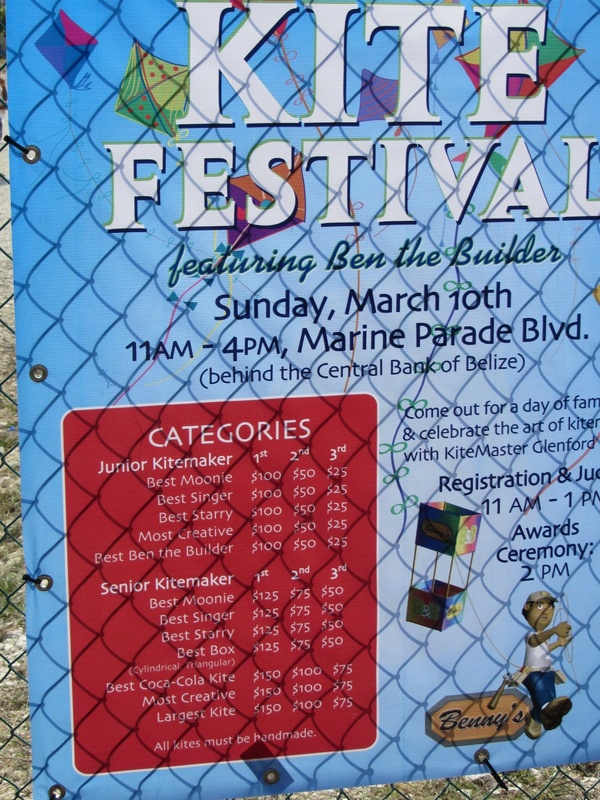 But, Reef Radio & Castillo’s Hardware were sponsors. They could probably fill you in. Hey…………I think this should be SPScoop’s newest promotional adventure!